Hello, lovelies~ Ever since I found out that my favorite lipstick from Revlon is no longer available here, I started searching for its alternative. The shade I'm looking for is one that falls into the category of MLBBs or My Lips But Better shades. My old Revlon shade is the Colorstay 200 Natural Cashmere. After a few sessions of researching online and looking at over a million and one swatches, I've narrowed down my decision to two products. 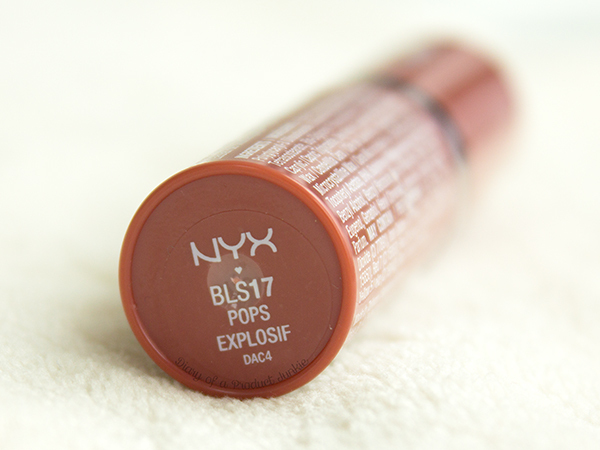 One of them is this NYX Butter lipstick in the shade Pops. The lipstick has a simple case with a small transparent plastic in the middle to make it easy to see the shade. There is also a sticker label with the shade name on the bottom of the lipstick case. I'm not sure, but I think the color of the casing resembles the shade slightly. 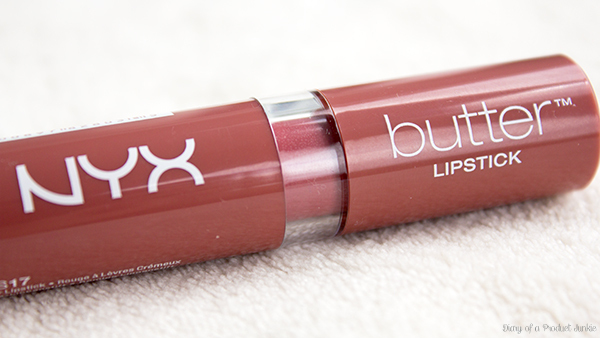 The lipstick has a creamy consistency that doesn't dry out my lips when it's applied. It glides on easily and gives an opaque shade with just one swipe. The color is almost similar to my lips, so I like wearing it for everyday. 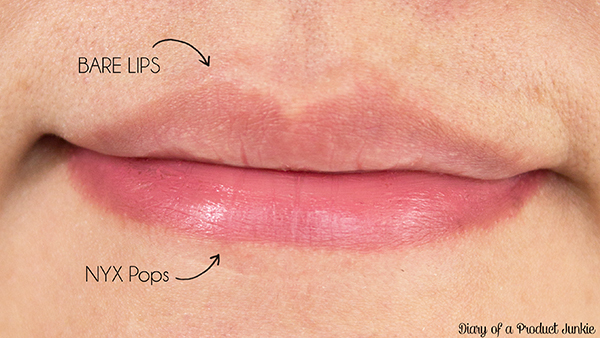 The longevity of this lipstick is the same as most moisturizing lipsticks where it disappears after eating a meal. 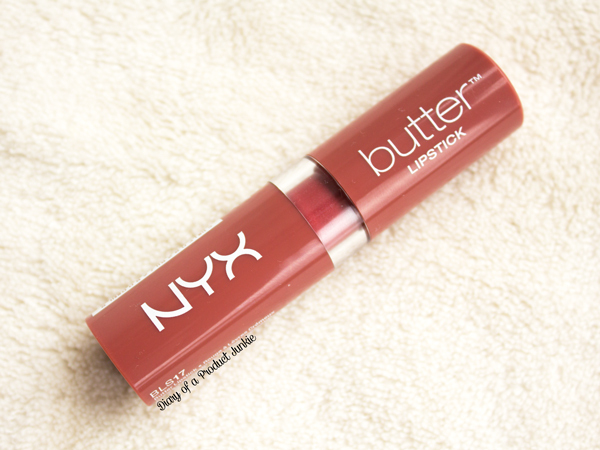 It's not as slippery as NYX Chunky Dunk and it has a satin finish with a little bit of shine. 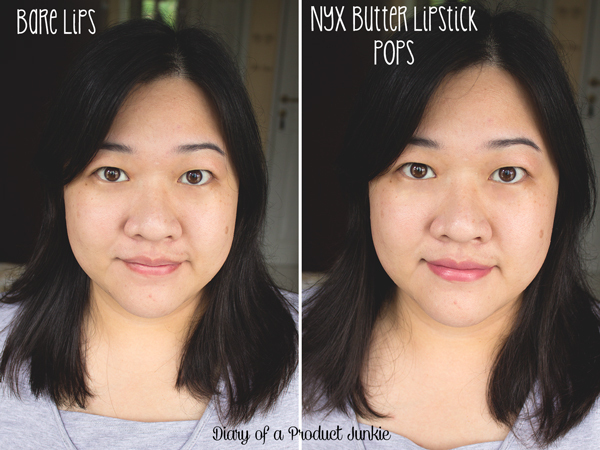 Overall, I have found my MLBB lipstick in another brand and is super duper loving it! The formula doesn't dry out my lips and it stays as long as I don't have any meal that day. I heard that this is a dupe for NARS Audacious Lipstick in shade Anita, but I wouldn't know about it since I don't own the NARS one.